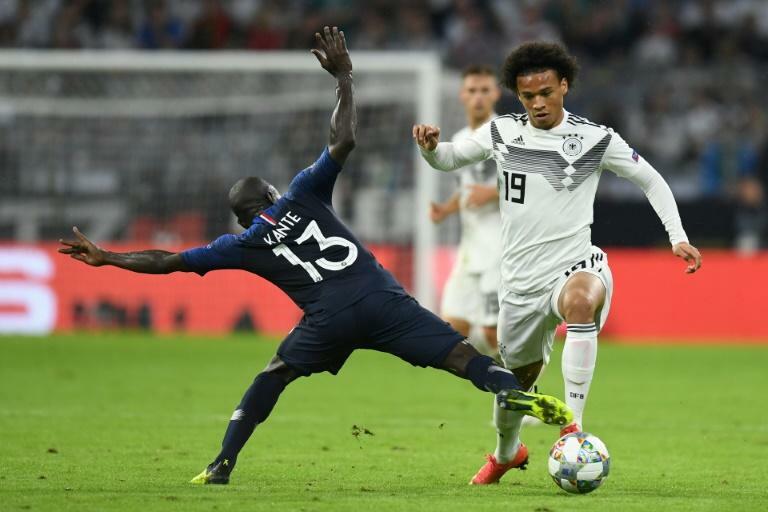 Manchester City winger Leroy Sane withdrew from the Germany squad "for private reasons" on Friday following a meeting with coach Joachim Loew, the German FA (DFB) confirmed. "Following discussions with head coach Joachim Loew, @LeroySane19 has left the team hotel in Munich for private reasons and will not be available" for Sunday's friendly against Peru, the DFB's English language Twitter feed said. Sane, 22, was controversially left out of the Germany squad for their disastrous World Cup campaign in Russia. However, he was brought back by Loew into his first squad since the tournament, and came off the bench towards the end of Thursday's 0-0 draw with France in Munich in their first game in the inaugural UEFA Nations League. Germany play Peru on Sunday in Sinsheim, at the home of Bundesliga club Hoffenheim.